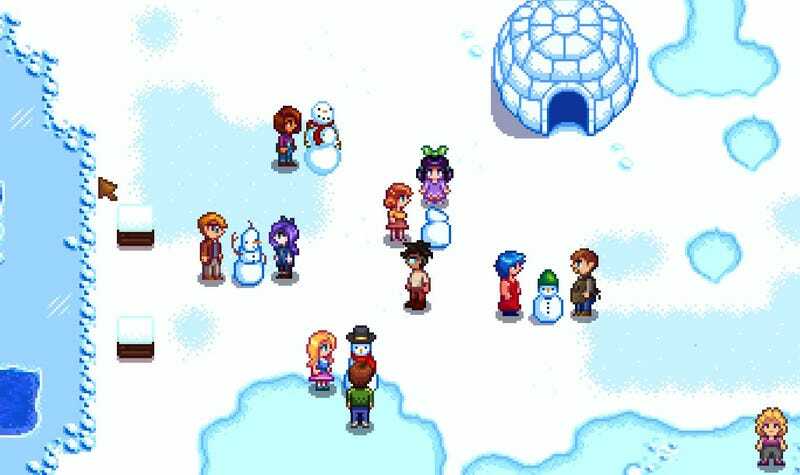 The sweetest game of 2016 also appears to have the nicest fanbase around, judging by what Stardew Valley players have been up to lately. Steamspy estimates that Stardew Valley has sold around 266k since launch, which would mean that the game is selling nearly 30k copies every day. That’s pretty damn good for a game that seemed to come out of nowhere, as far as the general public is concerned. Needless to say, the Stardew Valley community has been booming lately. And while this means a lot of talk about the best crops to farm, or the funny things villagers say, the biggest points of conversation around Stardew Valley right now are actually gestures of kindness. This thread exploded, with nearly 700 replies. Many of these players were seeking free copies of the game, sure. But some players joined in on the festivities, and helped the original poster give out more free games, too. The initial thread went on like this, with players paying it forward to others who claimed to be less fortunate. This second thread went up to 200 comments, and also had players other than the OP giving out copies. Undoubtedly some of the people asking for copies of the game just want to take advantage of the situation. But, overall, the sentiment around Stardew Valley is an astonishingly kind one. It’s the online equivalent of those “pay it forward” chains that start at coffeeshops, where people decide to foot the bill of whoever is next in line. Famously, these chains can go on for hours, as people become inspired by the generosity of others around them. I’ve never seen anything like it for games, though, which makes me think that Stardew Valley’s community is shaping up to be a special one. This digital pay it forward phenomenon is one of many grassroot efforts concocted by Stardew Valley fans, who seem intent on telling everybody they know why the game is worth buying. I have a feeling Stardew Valley is going to hit a million copies in no time.